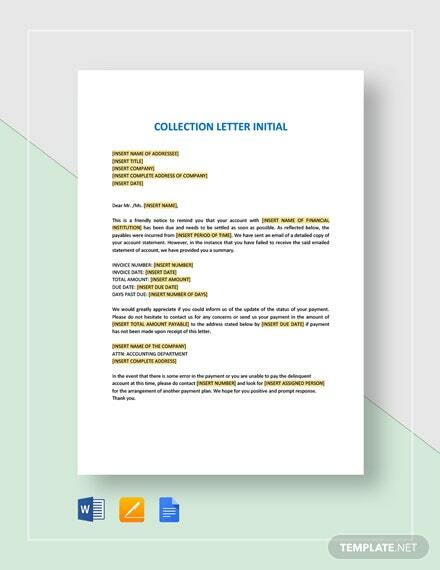 Collection letters are also useful in an industry where business and other related aspects are common. 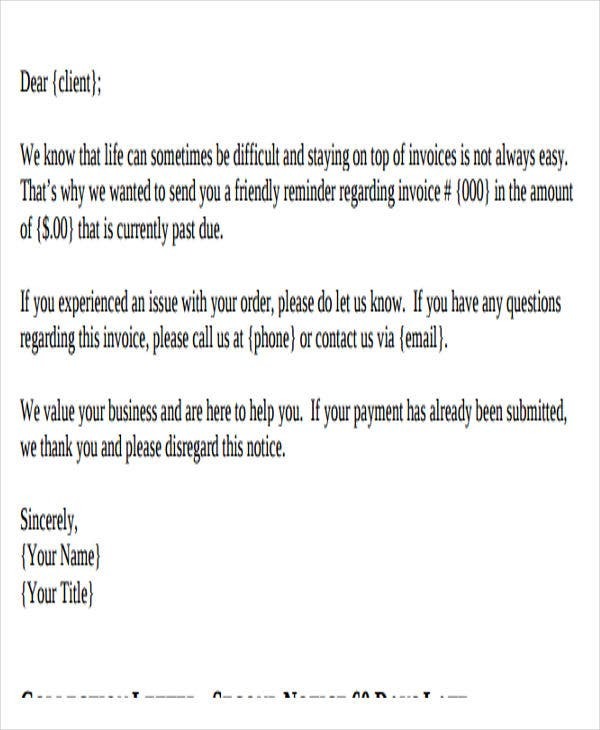 This type of letter is for realizing payments from the debtors. 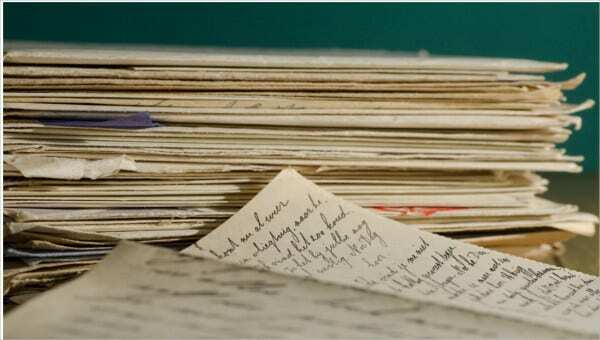 The need for writing collection letters arises from credit sales. Selling on credit is a traditional business policy that enhances volume of sales. Under the credit collection templates sales policy, the sellers allow the customers a definite period for payment of dues. You may also see Letter Samples. Additionally, we have collection letter samples that are downloadable and are for free. 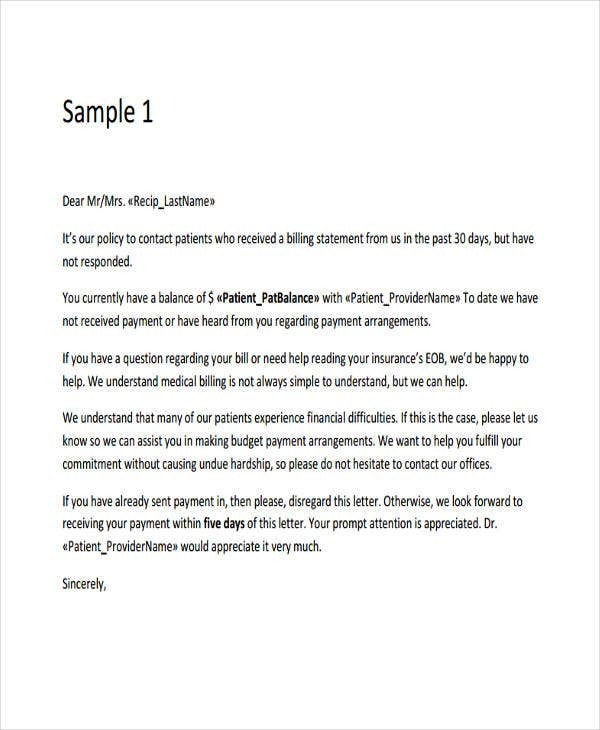 You can check below and more on our website for various other Sample Letters. So if ever you will be creating one manually, use these templates instead. Objective. 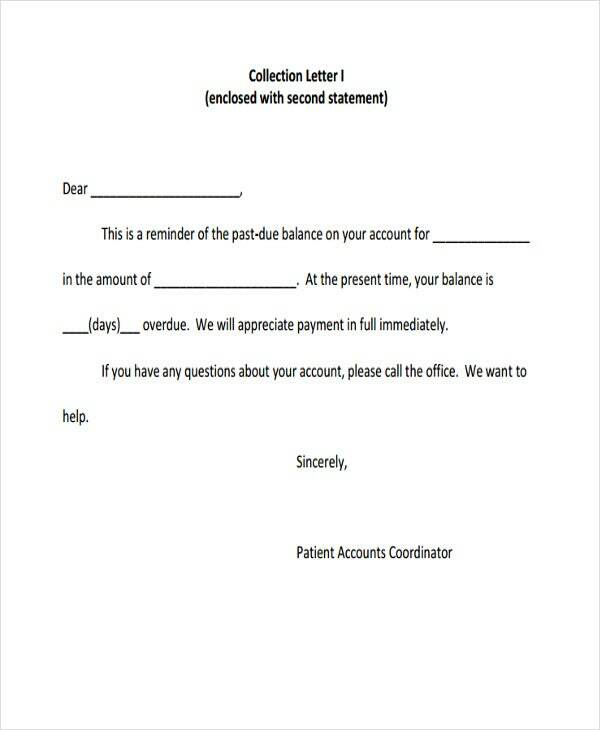 The main objective of writing a collection letter is to realize the payments from the clients. Referring the previous letter. When collection letters are written in an orderly manner, every subsequent letter mentions the reference of an immediate earlier letter. A threat for legal action. 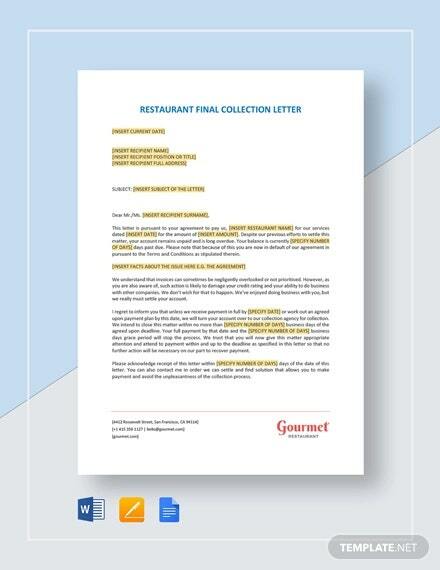 The last letter of collection letter series warns the customer that the matter has been handed over to the lawyers for taking necessary legal action. Parties included. The parties include the buyer who purchases on credit and the seller. The seller writes this letter to the buyer for payment of dues. Commanding principle. The commanding standard of the letter is to collect the payments by maintaining the customers with the company. Choice of language. 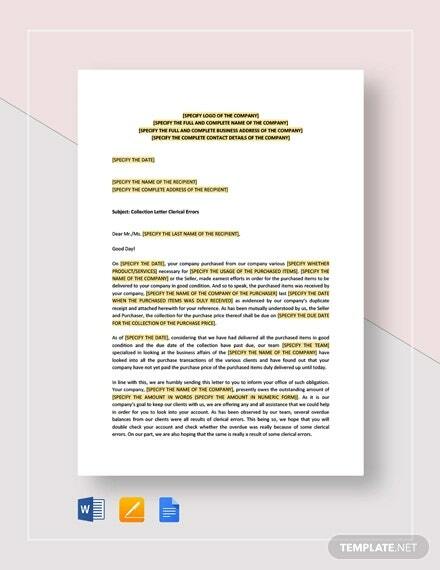 The letter is written by using friendly, effective, but straightforward language. When it comes to making a letter of this type, our sample templates are what you need. 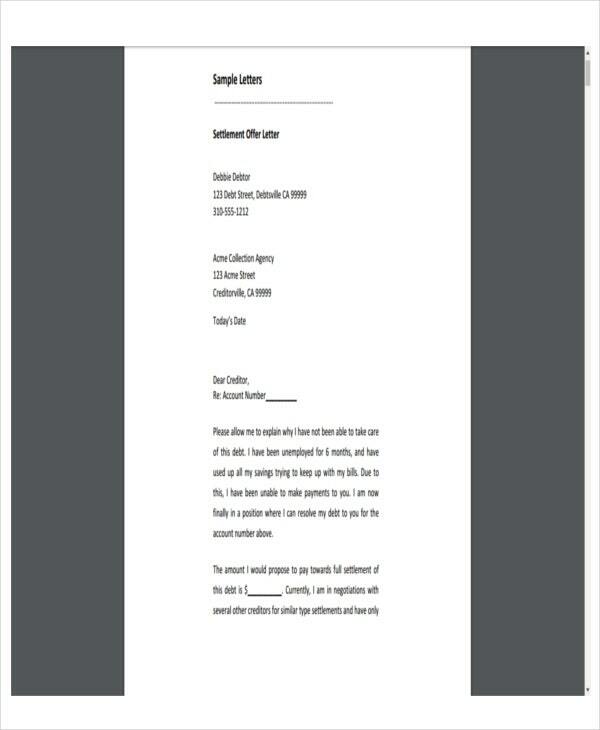 Not just that, these Cease and Desist Letter Templates are also available for download. 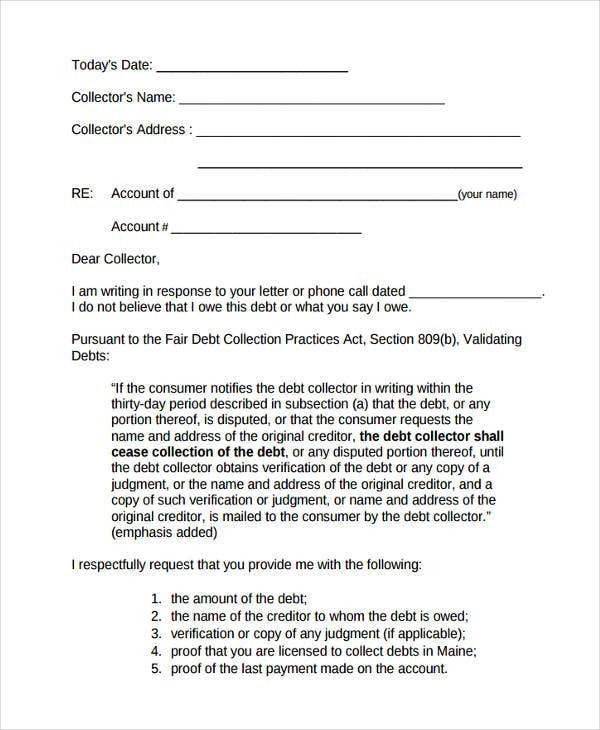 Apart from the collection letters, one example that is somehow used in the same setting and is necessary for debtors and lenders is a letter of demand. It demands the subject of debt to settle the unpaid bill, which is by default, within the certain time specified and informs the debtor about the total debt value. 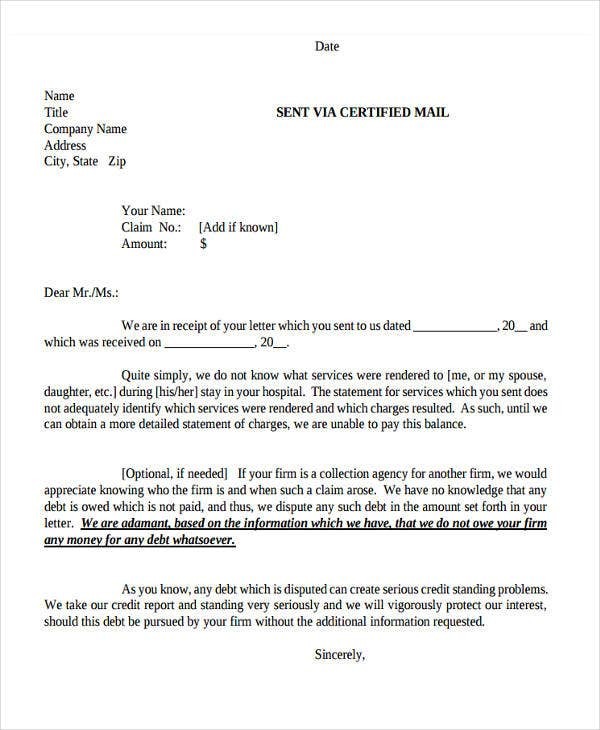 Such letters are sent from a recovery agency on behalf of a creditor to the subjects of debt. 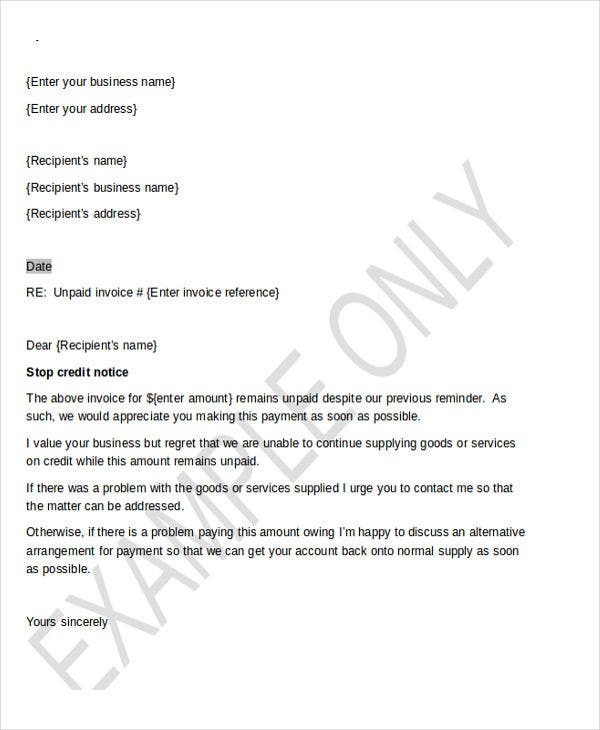 The debt letter basically requests payment from the debtor, but it is not sent before an invoice has become overdue. 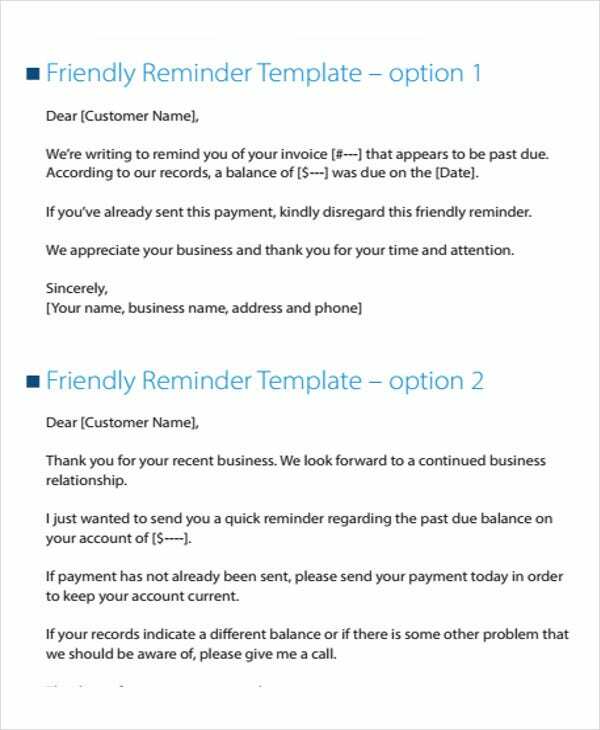 Depending on the phase of the letters, one can contain either a reminder with the total amount, a reminder with the total amount and a certain date used as a due date for the default payment, or compiling information above, plus an optional starting date for court actions, if the debt is not settled before this date. 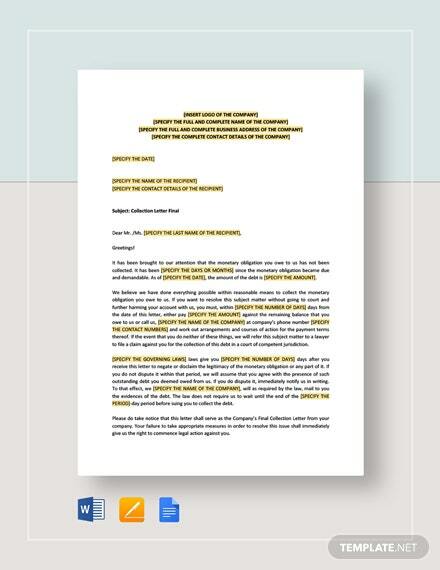 Debt Letter Templates are great samples of this letter type in which they are all in a preformatted text. So if you need templates to use for any letter type, our page is the best answer.